Deepu Xavier is the Product Manager of Java SE at Oracle. He was listed in the Young Leaders of India, 2013 by The Economic Times and is a frequent speaker at various international Java User Groups and other technical conferences in India. 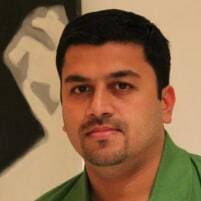 He primarily gets involved in the product management of different versions of Java and Advanced Management Console. Deepu holds a Bachelors Degree in Engineering and has worked on various financial/ reinsurance & automotive automation products prior to joining Oracle.